Gear VR vs Oculus Go: Which One is Better? Oculus Go puts VR on the head of anyone with an extra couple hundred bucks lying around, but what if you already have a Galaxy phone? Is Oculus Go better than Gear VR at double the price? Let’s find out. What is Oculus Go and How is it Different Than Gear VR? First things first: let’s talk about what Oculus Go is. To put it as simply as possible, it’s a fully standalone VR headset that runs Android. It’s not quite as powerful as something like the Oculus Rift—but it’s also half the price. 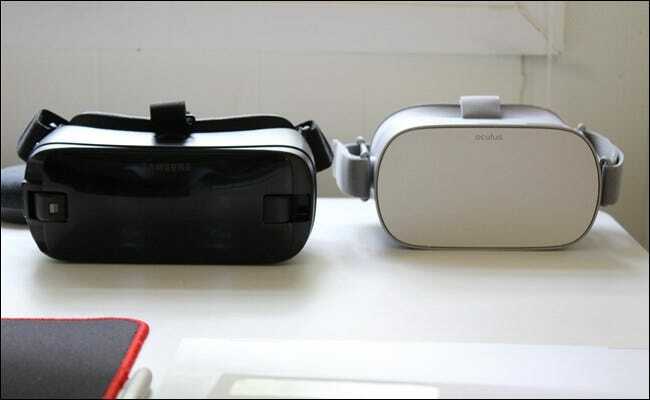 At its core, the Oculus Go is very similar to Gear VR, which is Samsung’s collaboration with Oculus to bring VR to its Galaxy smartphones. Gear VR and Oculus Go run the exact same software—the main difference is that Oculus Go works on its own and Gear VR is completely powered by your phone. In other words: one ties your phone up while the other one doesn’t. Past that, these two are pretty similar. Also, if you don’t already have a Samsung phone (and don’t plan on getting one), then obviously the Oculus Go is going to be the better choice. 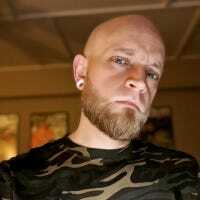 So, we’re mainly looking at which is the better choice for people who have a Samsung phone and are debating the options. Let’s take a closer look at those details. When placed side by side, the Gear VR is a much larger headset. It makes sense, because it has some of its own internal hardware and it has to make room for you to stuff a phone into it. Oculus Go, on the other hand, can be much more compact because everything is housed internally. That also makes it slightly lighter than Gear VR (when there’s a phone in the Gear VR, that is). Oculus Go weighs around 466 grams, and Gear VR is 503 grams with a Galaxy S9 mounted inside it. If you use the S9+ or Note 8, it’s going to be even heavier. That may not seem like a big deal, but when you strap over a pound of weight onto your head, it gets heavy pretty quickly. The lighter the headset, the better. When it comes to fit, both headsets are pretty comfortable, but the Oculus Go offers a bit more flexibility. For example, it ships with an add-in spacer for those who wear glasses, which pushes it out a bit further. The Gear VR, on the other hand, is supposed to just “work” with glasses, but it’s still not a great experience. 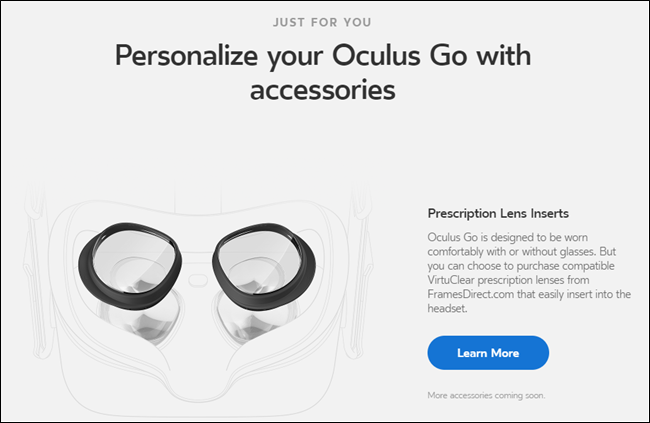 Similarly, if you’d rather not wear your glasses while using Oculus Go, you can buy prescription lens inserts for it, which is just wild. No need for glasses and you can still see everything. That’s cool. Then there are the hardware differences. Gear VR uses your phone’s speakers for audio output (you can also wear earbuds), where Oculus Go has small speakers placed on the sides of the headset right around where your ears should fall. This is a great solution for an immersive experience without having to plug your ear holes with earbuds (though if you want to, Go also has a 3.5mm headphone jack). Both the Oculus Go and Gear VR run the exact same Oculus software, and provide access to the same Oculus Store. So, the interface is the same, the available titles are the same—honestly, the whole experience is pretty much the same. As a result, anything you purchase on one is also available on the other. So if you had an older version of Gear VR and picked up a game or two to check it out, those will be installable on Oculus Go. When it comes down to performance, it’s hard to compare the two because it really depends on your phone. The Go is no slouch when it comes to performance, but it’s also only running VR software. There isn’t a lot of stuff going on in the background like there might be on your phone, so all processing power is exclusively going to handling VR tasks. The same can’t be said for your phone. Now, presumably, as phones get even more powerful, you’ll be able to stick your new Samsung phone into the Gear VR in the future. You can’t do that with the Oculus Go. There’s also one notable advantage the Oculus Go has over Gear VR: you don’t have to use your phone. VR is pretty processor intense, so it can really kill your phone’s battery if you use it for any extended length of time. So, if your phone’s battery life is important to you, Gear VR is a tough sell. Plus, it just generally ties your phone up, which is kind of annoying—especially if you want to let someone else give VR a whirl but would like to use your phone while they do. Oculus Go, on the other hand, doesn’t have that issue. Since it’s completely self contained, it has almost nothing to do with your phone. 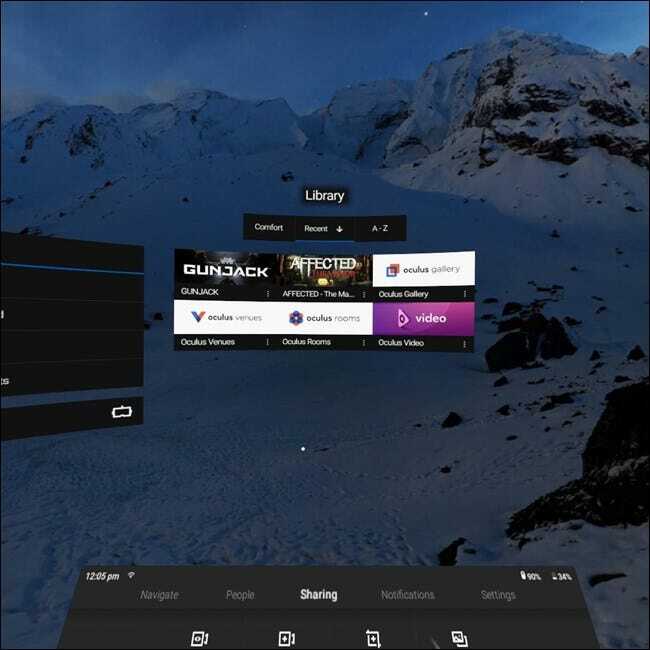 You still have to use the Oculus app to set it up, but it runs all of its own software. To further put that into perspective, let’s talk about cost. Oculus Go is $200 for the 32GB version. Gear VR retails for $120, though you can often find it for around $100. Gear VR may be half the cost of Oculus Go, but when you think about how much Go has packed under its hood, it easily becomes a better value. Plus, like we’ve already said: it doesn’t use your phone. 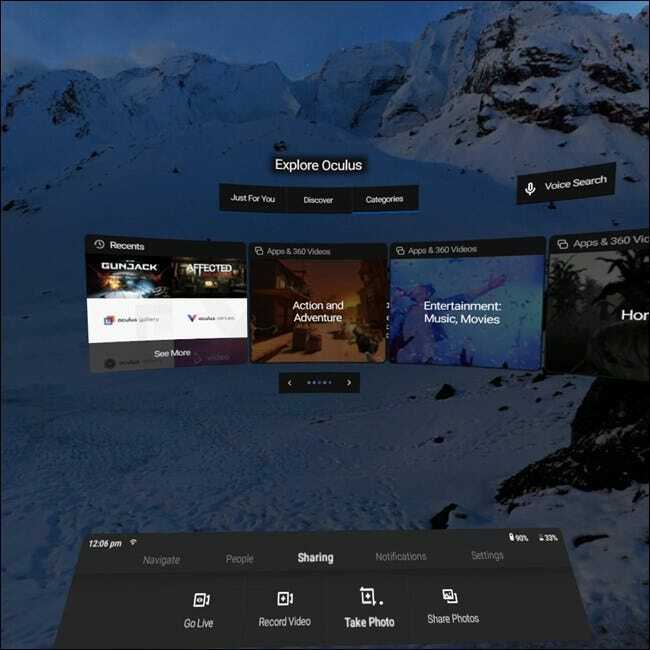 So, when it comes down to it, if you don’t already have Gear VR—there’s a chance you got a freebie when you picked up your new Galaxy phone—and you’re looking to get into VR, the Oculus Go is the clear choice. Similarly, if you already have Gear VR and spend a lot of time with your phone stuffed into the headset, Oculus Go is a great solution to freeing up your phone and still getting a familiar VR experience. It’s a win-win. On the other side of that coin, If you already have a Gear VR and don’t find yourself using it that often, it’s probably not worth going for the Oculus Go—it’s virtually the same experience (😎), so you probably won’t use it any more often.